Each year there are trends that leave a mark, while others fade away and never see the light of day until someone is brave enough to revive particular trend years later. But what is the true definition of a trend? A trend is defined as a general direction of change: a way of behaving, proceeding, etc., which is developing and becoming more common. In the world of design, we hear about trends from all avenues, including fashion, home décor, art and architecture. Everything around us inspires innovative ideas and breathes new life into designs, while pushing the boundaries of art and design. This year is no different than the last when it comes to home remodeling. The latest trends have both designers and homeowners creating new idea books and inspiration boards via Houzz. Color, appliances or furnishings; designs evolve and trends are created when designers are not afraid to be bold, explore aesthetics, pallets, all while collaborating. Kitchen islands, sinks and backsplash tile are all things to consider when remodeling your kitchen. What size kitchen island is right for my existing layout? Do I need to redesign the space? What type of sink would work best for my daily use? And color, what color backsplash compliments my new countertops? 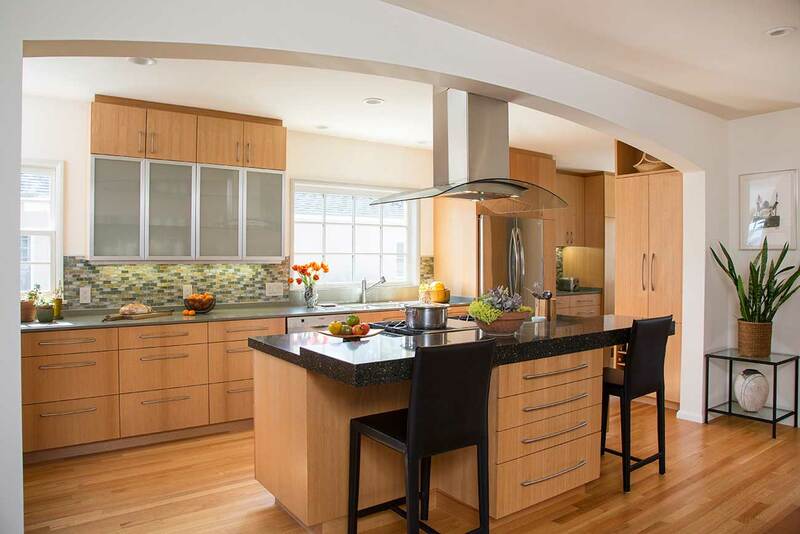 All valid questions and while design experts can assist you in the process, there are always a few trending themes and items to assist you when it comes to remodeling your kitchen. And remember, just because something is trending this year, does not mean it will necessarily be the greatest design choice 5 or 10 years down the road. So when selecting new appliances, color, etc., be sure to consult a professional and at the end of the day go with that feels right for your space. As designers, we may be aware of the latest trends, but we are also aware of the client’s particular style. We are there to help bridge the gap between your design aesthetic and what is currently popular and all the hype in the world of architecture and design. First let’s start with color – Soft muted colors pallets. Need help? Try charcoal, grays and even neutral pastels like pale blue, pale green gray and tinted whites are the new alternative to the standard white. If you want to be a bit more adventurous, try Pantone Color of the Year: Rose Quartz (a pale, dusty pink) and Serenity (a warm, baby blue). 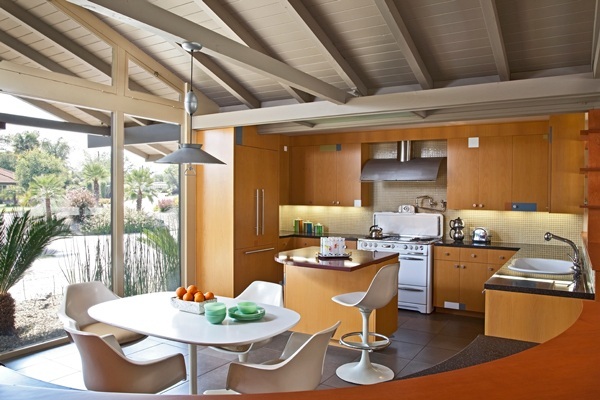 From kitchen accents to furniture, mid-century modern has been a top pick for designers. The retro style can be credited to the 50s and 60s architectural influences, not to mention interior, product and graphic design and art from the same era. 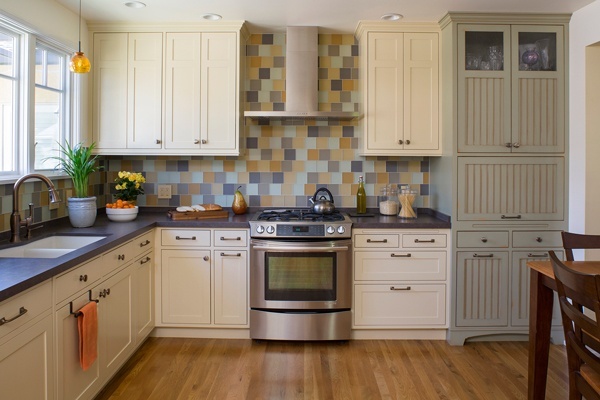 With a balance of color and neutral elements, try maybe a colored appliance, sink, backsplash or accent cabinet. So you have heard of a smart room right? A room equipped with all of the latest and greatest in technology controlled from your smartphone of tablet. 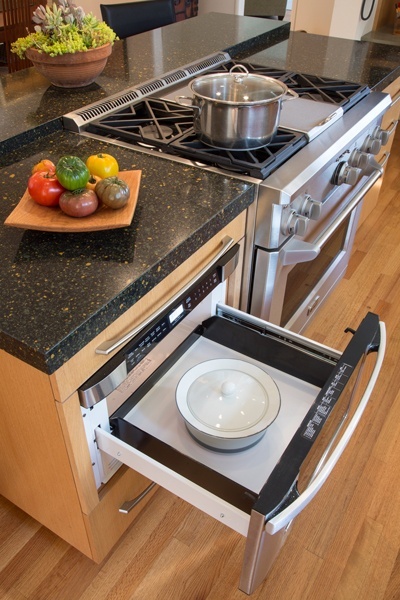 Now, incorporate technology into your cooking space as well. Think charging stations for smart devices, built-in appliances and integrated tech spaces. Just imagine, a built-in coffee machine that is more like a motherboard and can brew up the best cup of coffee just the way you like it. Maybe your kitchen feels disconnected from the rest of your home. 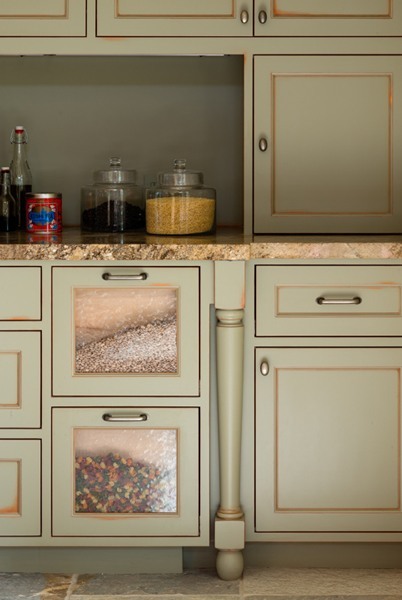 Maybe you want your cooking space to feel more accommodating. Either way, this trend could be for you and your family. Designers anticipate more streamlined kitchen designs in which the kitchen converges with the home’s primary living space. In 2016 you will notice designers merging kitchens and living rooms by including hidden and integrated appliances.